I was super amused when LD released their Tutti Frutti collection two weeks ago. 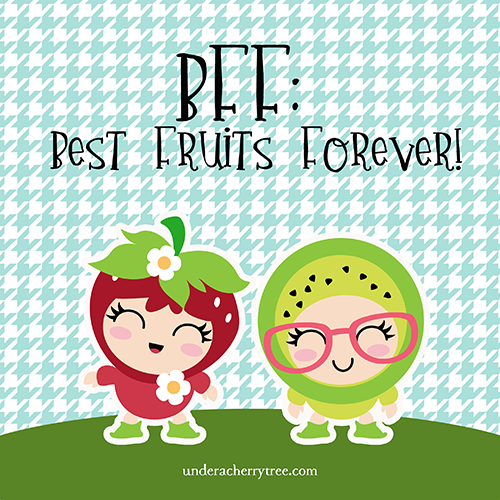 Those fruit babies are too cute! I wanted to cut out all the images in the cut set right away but I decided to do a print-and-cut simply because it was faster. See what I mean? This set is seriously too kawaii! 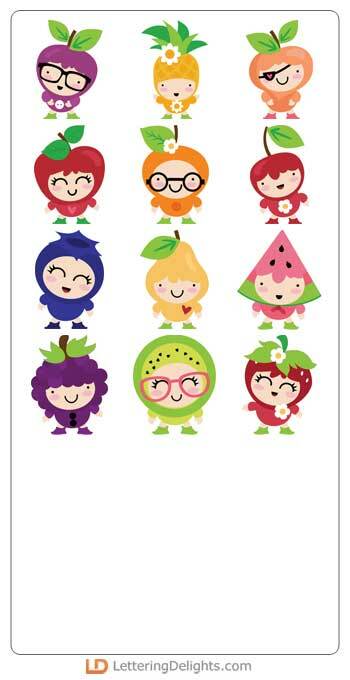 I can't get over how adorable the fruit babies are! 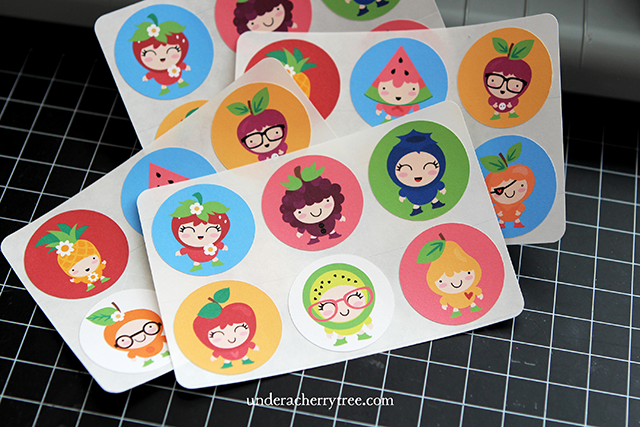 As much as I enjoyed making these stickers, I really wanted to try out the cutting files. 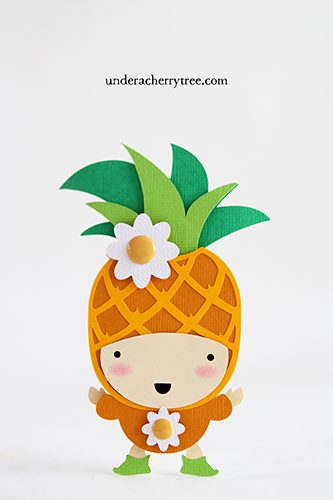 The pineapple caught my eye when I first saw the collection and so I easily decided that it would be the first SVG that I cut from that set. The cuts may look rather complicated but they were actually quite easy to put together. I was pleased that it didn't take long at all to assemble and adhere all the layers together. 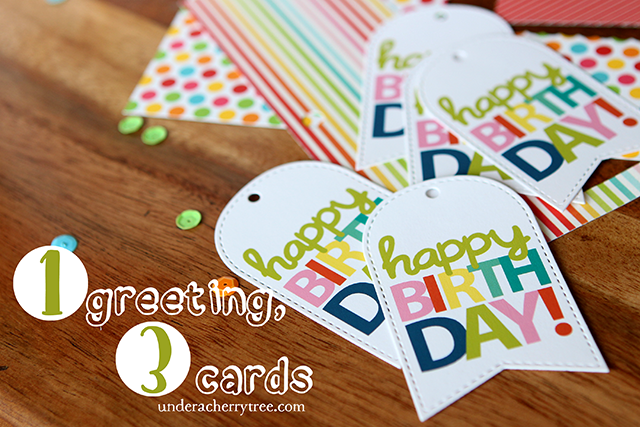 I had initially planned to make a card with a punny greeting ("I pine for you"? lol. ) but I ended up leaving out the sentiment. I think it looks better this way. By the way, in case you are wondering, the white stitched scalloped frame on the card front was cut out using two metal dies and my Sizzix Big Shot. I liked that it made the card look more interesting. 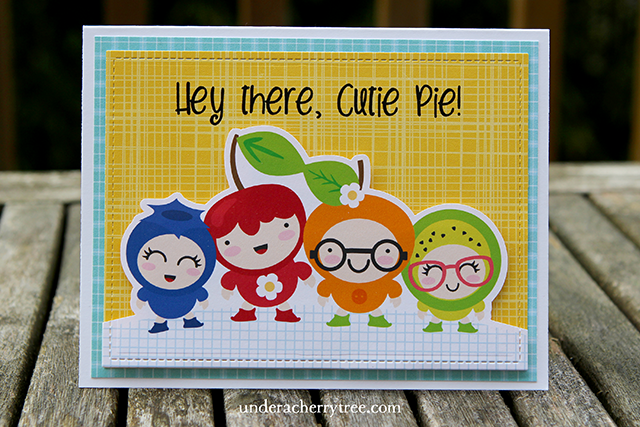 I also made a quick print-and-cut card with the Tutti Frutti Cut Set. Even though I had originally planned on printing out the background, I ended up using pre-bought patterned cardstock. 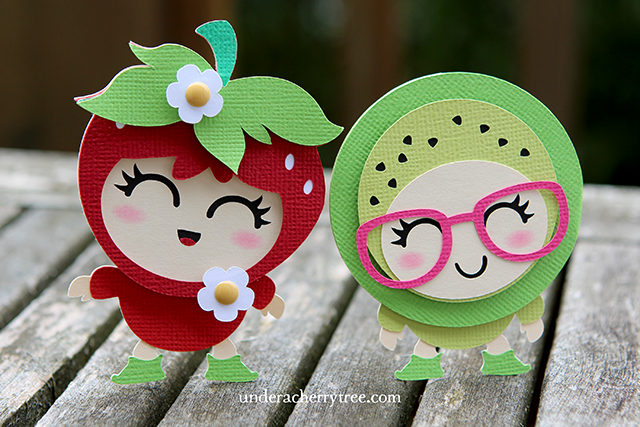 I printed the greeting and print-and-cut the fruit babies. I'm enjoying this cut set so much I intend to make some mini notecards (like the ones in THIS POST) and perhaps even a stationery set with them. With a collection of images that are so adorable, I bet that anything that is made with them will be just as cute if not cuter. 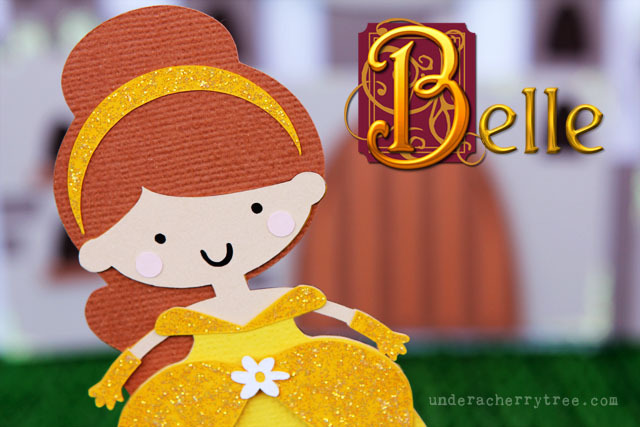 When LD first introduced us to their Disney-inspired princesses a few years ago, Belle, for some reasons (perhaps accidentally?) was left out of the collection. When asked, LD suggested that we can make the cutting file for Belle by combining the SVGs for Jasmine and Tiana. I tried doing just that and even wrote a tutorial for it. You can find the post by clicking HERE. 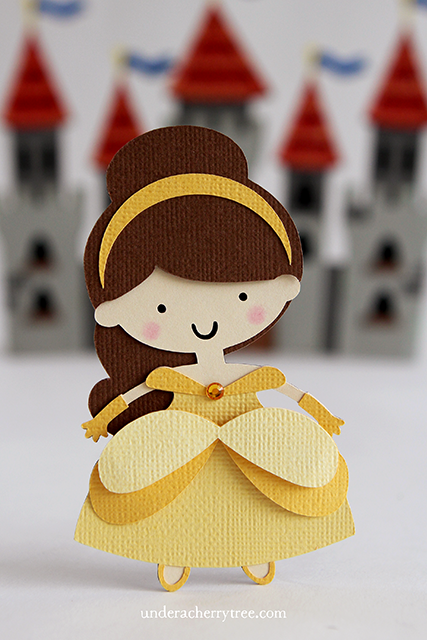 LD did include a cutting file for Belle in a later collection but I never got around to making it. 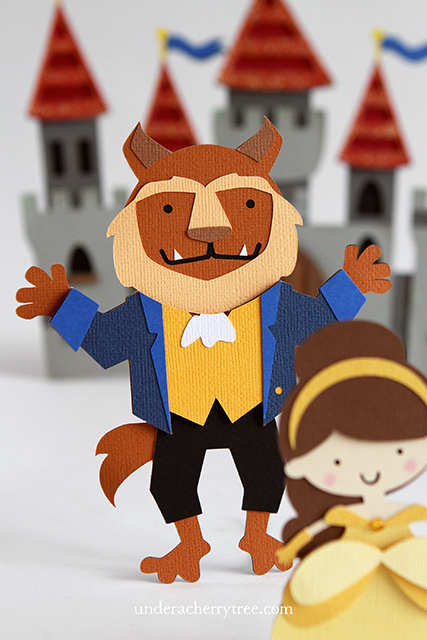 Since Belle looked kinda lonely, I went ahead and cut out and assembled the Beast too. Look out, Belle! There's a Beast behind you! I have been looking forward to watching the new movie with the kids but we were so busy this past weekend, we didn't managed to get anywhere close to the theater. All the reviews that I've read so far were very positive- everyone who has watched it seem to have enjoyed it very much. Hopefully, we'll get to watch it too soon. 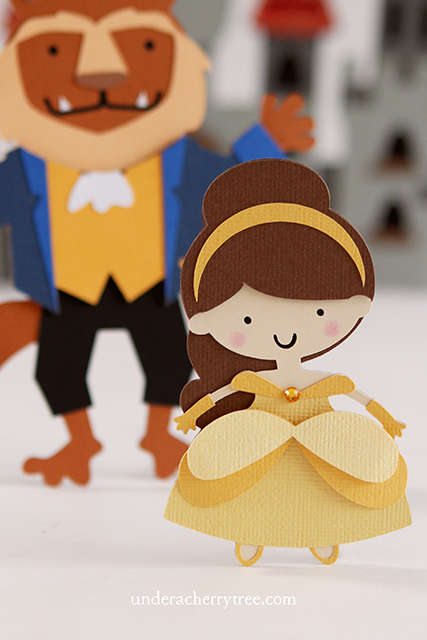 for all LD Disney-inspired princesses, click HERE. 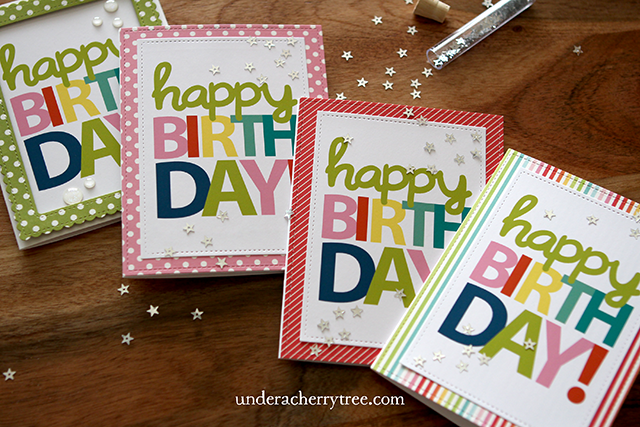 Recently, my stash of birthday cards have been depleting very quickly. My kids seem to be celebrating a friend's birthday every other week! They try to make cards themselves but more often than not they look to me for one, and lately, they have been turning to me A LOT. 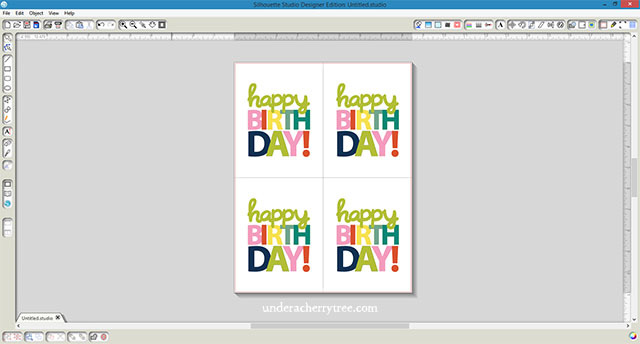 Luckily, with the use of graphics, making birthday cards can be very quick and easy. 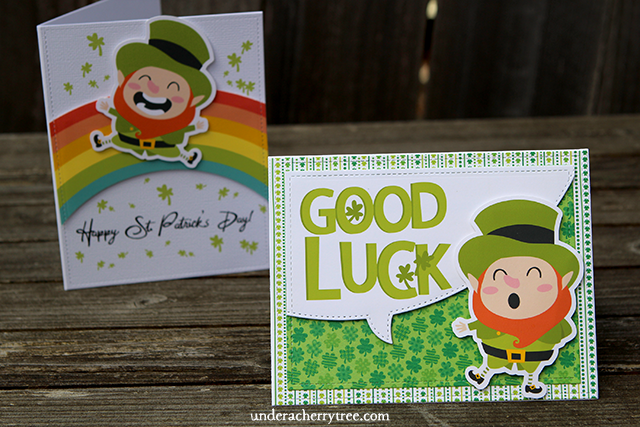 In today's post, I'm going to show you how you can use a single graphic to make 3 different cards. 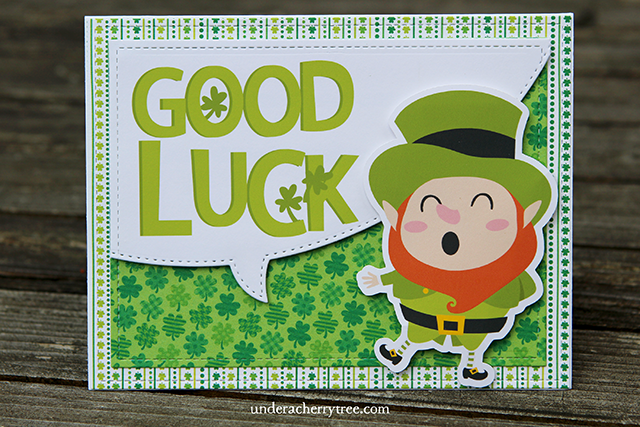 For the first card, I printed the image to fit on an A2-size card front. Next, I cut it with my Sizzix Big Shot and a rectangle metal die. 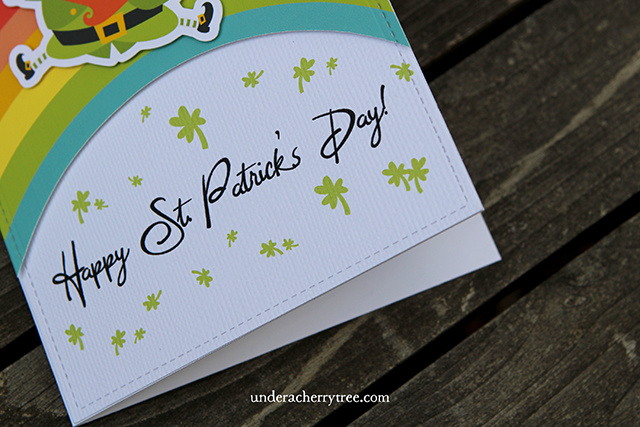 I layered that cutout onto an A2-size patterned paper and adhered the whole thing onto the card base. Some bling is added to make the card sparkle. So easy! 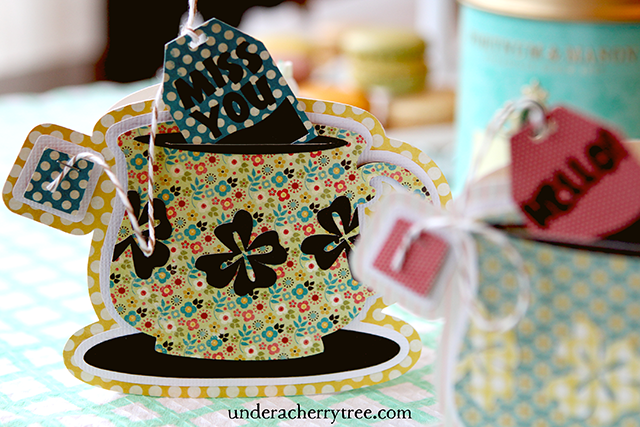 For a different look, I also cut out the printed graphic in the shape of a fishtail banner. 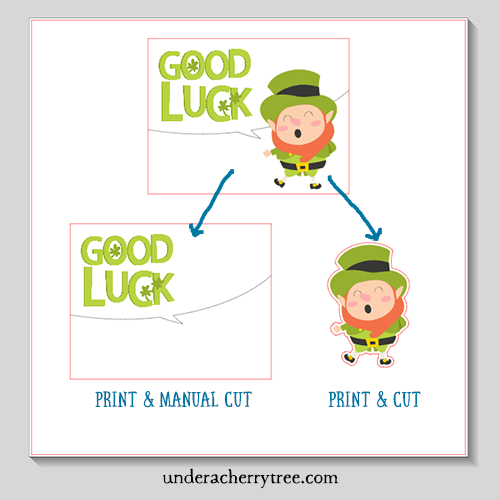 In this case, I used a banner metal die but if you are using an electronic cutting machine like the Silhouette Cameo, you can definitely use print-and-cut to cut the shape out. 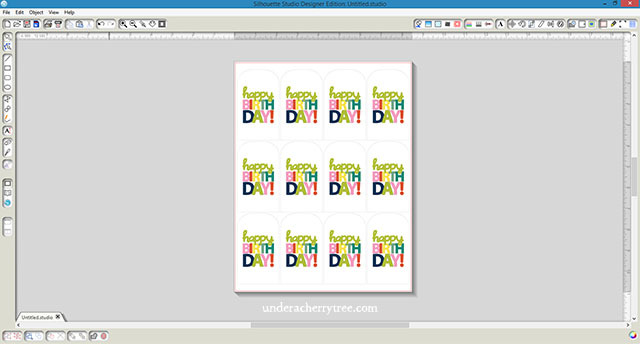 By printing and cutting the same graphic to fit on a small tag, I came up with the 3rd card design. I had initially planned on cutting the tags out using the LD Layered Tags Cut Set but I ended up cutting with a metal die instead as I like the look of the stitched lines. If you do not have a tag-shaped metal die, you can cut using the Layered Tag Cut Set and draw in the stitched lines with a gel pen. 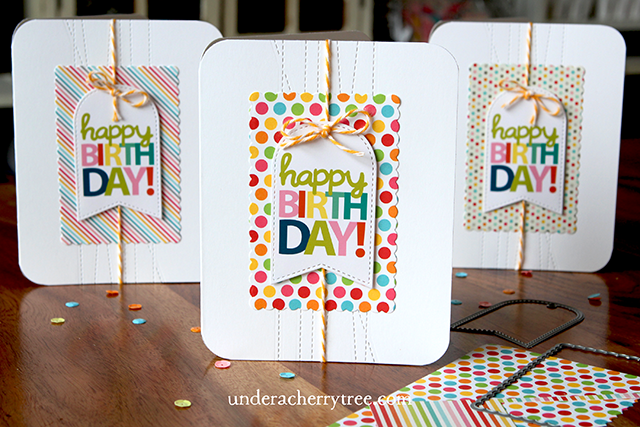 These 3 card ideas are just a few examples of what you can do with this graphic. 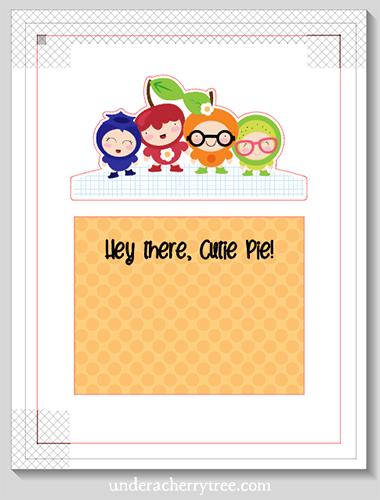 I think that it'll be really cute as a shaker card too! Have you used this graphic to make cards? If so, do share your idea! I would love to know what else I can make with it. UPDATE (3/13 1pm PST): I posted the link to the incorrect graphic set earlier. I have edited the post to reflect the correct link. Oh. My. Goodness! 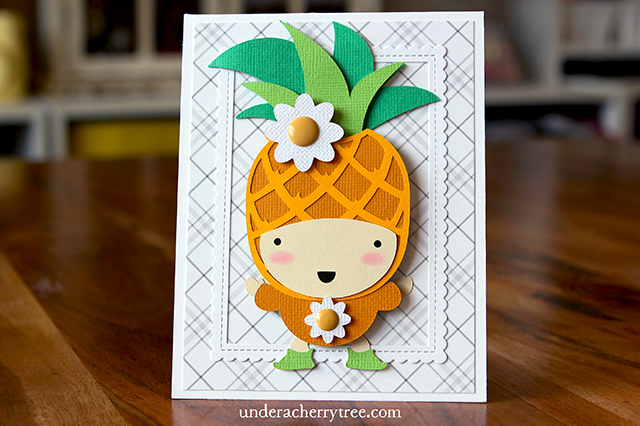 LD has just released the cutest collection and I am smitten! 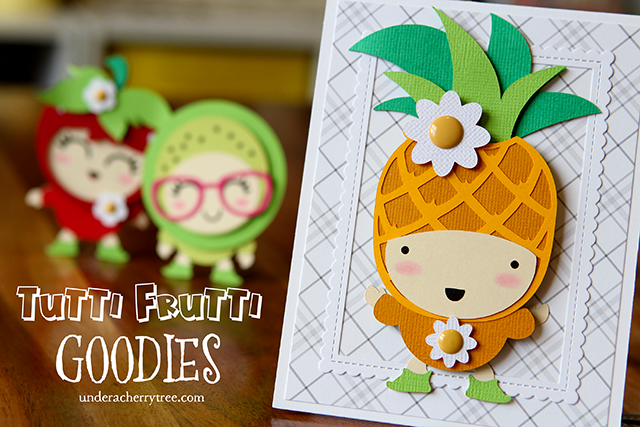 The Tutti Frutti Cuties are ADORABLE! If you have not seen it, CLICK HERE to see the whole collection. Be warned: it is super cute and if you are like me, you would want every set from the new line! 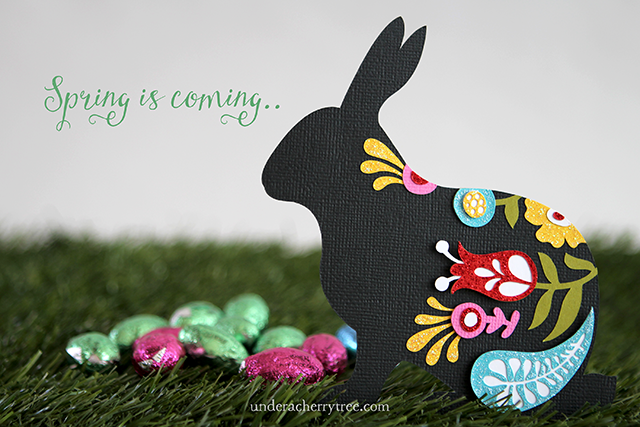 Easter is coming soon and if you have not started on your Easter projects, LD can help! They have started their Easter Sale and most of their Easter products are marked down by 75%! If you are shopping on the LD site, don't forget to grab your free Just Smile bundle ($36 value) when you spend at least $10. The promotion is good for only 2 more weeks. 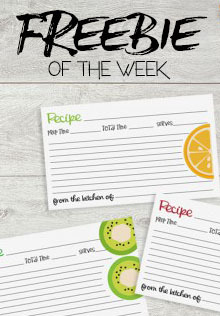 I don't know if any of you have noticed but I have added a box on the right border of my blog to highlight the LD Freebie of the Week. It is clickable and acts as a shortcut to the LD weekly freebie. Come back every week to see what's new. Print-and-Cut is a quick way to make cards but I like to add elements of die-cutting to make the project look more interesting (and less flat). Using Silhouette Studio (DE), I designed the card and printed it in 2 layers. 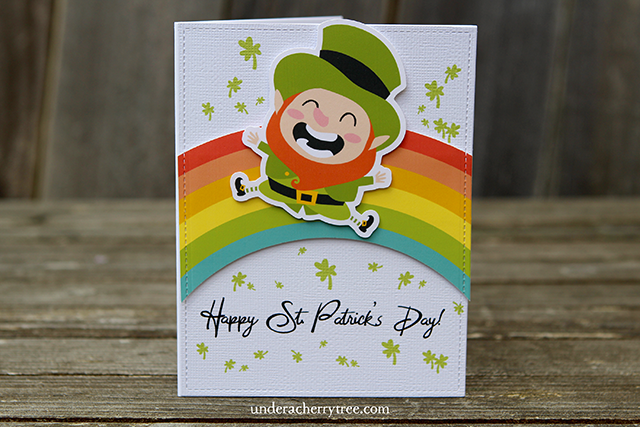 Next, I cut out the greeting with my Sizzix Big Shot and a metal die, and print-and-cut the leprechaun with my Silhouette Cameo. 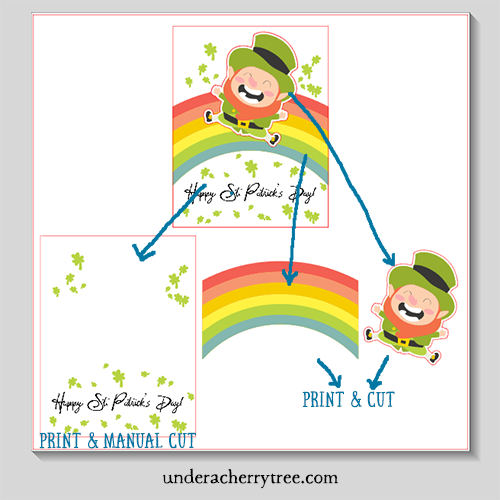 The base was printed and manually cut out with my Sizzix Big Shot and a metal die, while the rainbow and leprechaun was print-and-cut with my Silhouette Cameo. 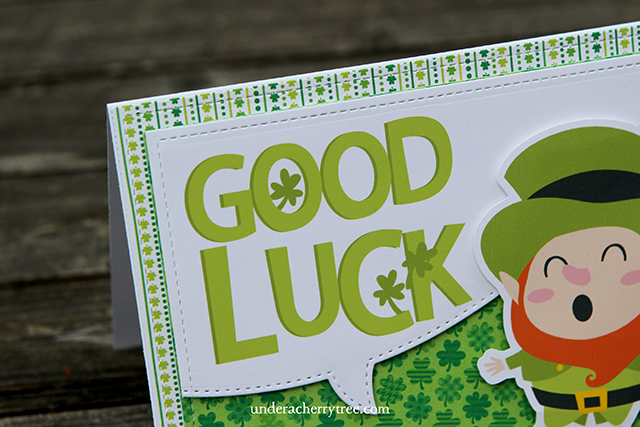 Making a card using both print-and-cut and manual die-cutting together does not add a lot of time to the process but it gives the finished card a nice handmade feel. Personally, I love that it also gives me a reason to use my metal dies that I seem to keep buying but never use. 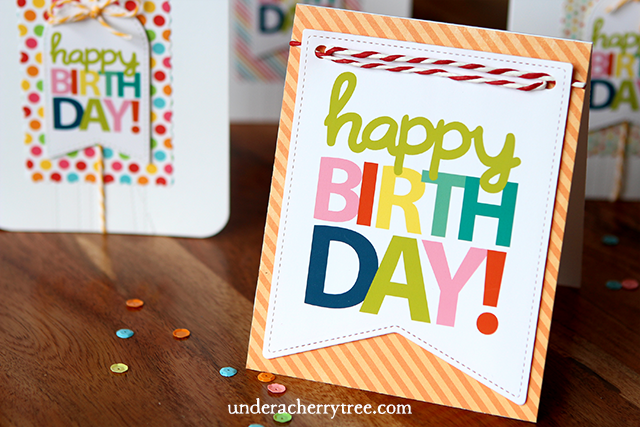 If you have not used manual die-cutting and print-and-cut together on a card before, I hope you'll give it a try! I was traveling when LD released their Spring Tea collection last week. As soon as the suitcases were unpacked, I flipped open my laptop and started playing with their Spring Tea-Green Tea Cut Set. 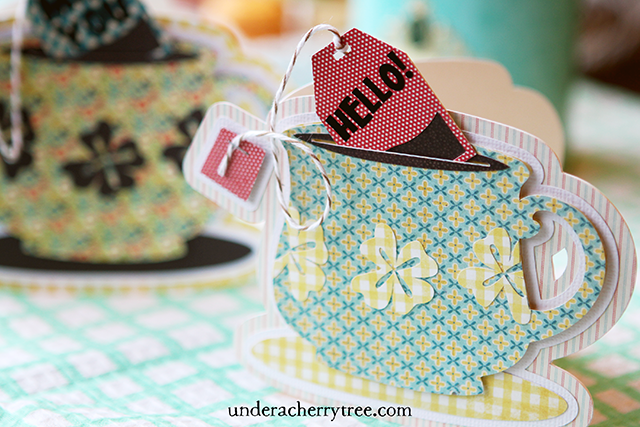 Using the Tea Cup and Tea Bags images, I came up with an easy and fun shaped card. 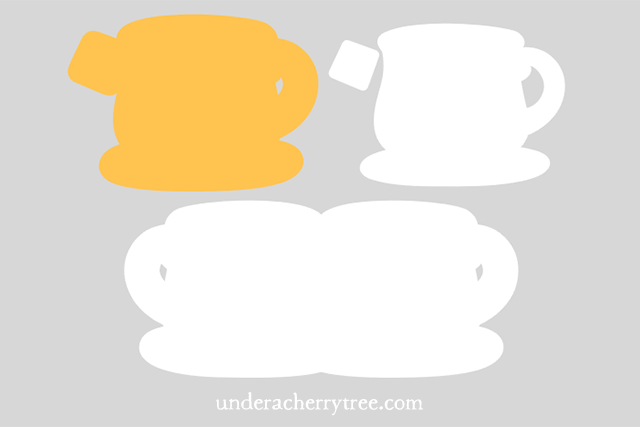 In order to incorporate the tea bag into the tea cup, I had to make a few modifications to the original cut files. 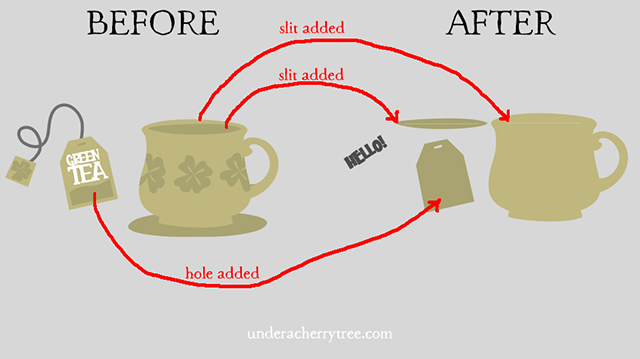 I added a slit to two layers in the tea cup and added a hole in the bottom layer of the tea bag. I also made three new base layers, including a card base. 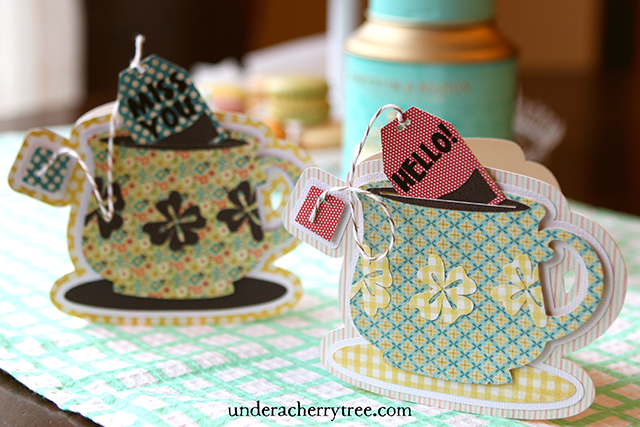 I replaced the "Green Tea" wording with a greeting which I cut out from vinyl. 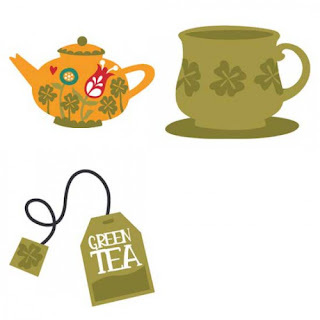 LD is currently giving away both the Spring Tea-Green Tea graphic and cut set for free. If you have not already grabbed them, just CLICK HERE or the images below to get the files. 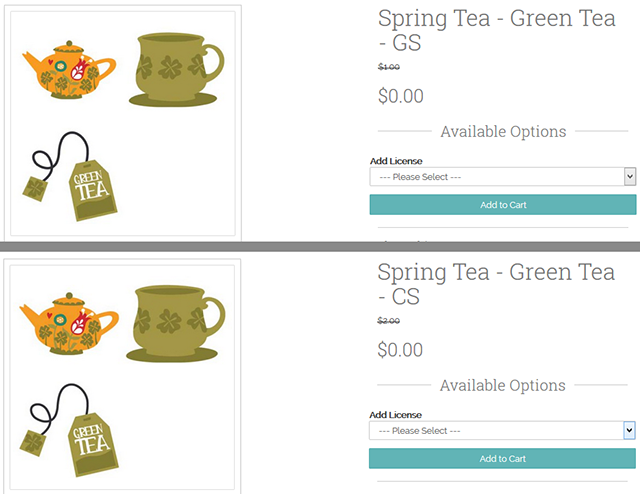 You may see a price on the files but they will both turn to $0.00 once you add them to the cart. The freebies expire tonight so hurry up and get them before they are gone. If you are reading this post after March 2, 2017, you may have missed out on the freebies but you can still get the files for a low price. CLICK HERE to get them. Bunny from LD's Spring Tea cut set. I actually like Winter a lot but the surprise snow storm that happened here on Monday got me wishing for warmer weather. Speaking of sunny days, if you follow me on Instagram, you may know that our family recently took a short trip to Singapore over Mid-Winter Break (last week). 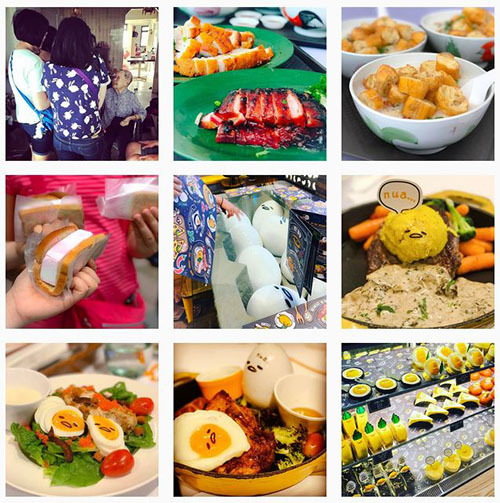 If you are curious about what we did there, just CLICK HERE to check out my Instagram page.